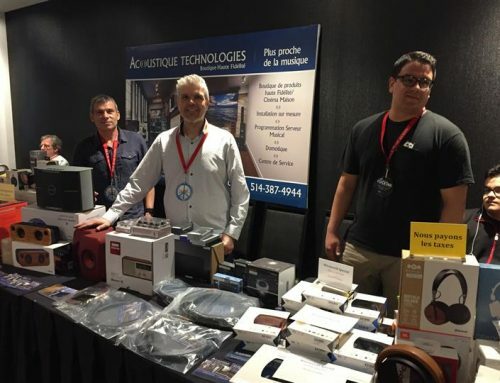 TAVES is back and it’s bigger and better than ever. So big it had to relocate to a larger venue this year, and bursting with new ideas. High art (yes there were paintings and other artworks all over the exhibit floor) and high tech are bursting out all over. 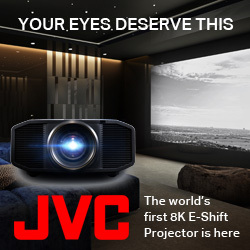 Where else can you see a Sony 4K Laser Projector – the only example in Canada – a series of 3D printers, a headphone room and an electronic mind reader, designed to relax and concentrate your brain? An expanded range of seminars when you need some down time, and some Tesla cars – the list goes on. 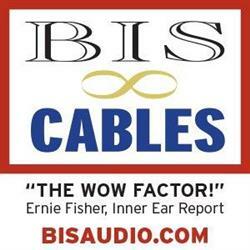 All this in addition to the bread and butter of the show – High Fidelity Audio. Speakers just don’t get more distinctive then Acapella Audio Art’s range of horn speakers, with their distinctive spherical horns. The new hyper spherical horn design is being introduced across the range for increased low end bandwidth and improved dispersion characteristics. 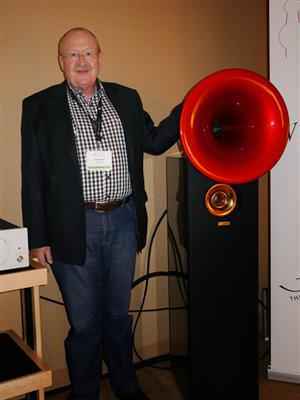 Herman Winters, designer of the ION tweeter, is standing by the Violincello II Mk2 speaker but he was even more excited by the new Acapella Integrated LaMusika hybrid integrated Amplifier which will run a cool $120,000. 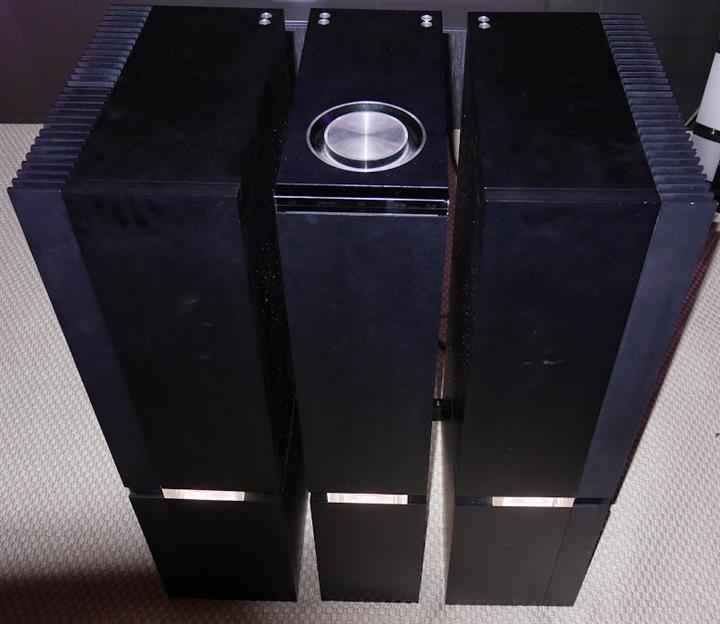 Acapella speakers are actually very efficient, but they felt the need for an amplifier which was without any limitation on dynamic range over the full audio bandwidth. The amp is made by hand with a maximum of 10 units a year. The finish and design are exemplary and the sound in this room, sourced from an Aesthetix Romulus Player is exceptionally natural and clear. 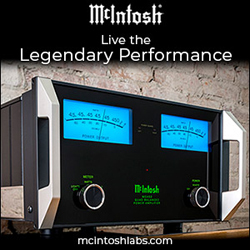 McIntosh is introducing the MB100 Media Bridge with a 1TB hard drive so you can import your music and play it on your McIntosh system. 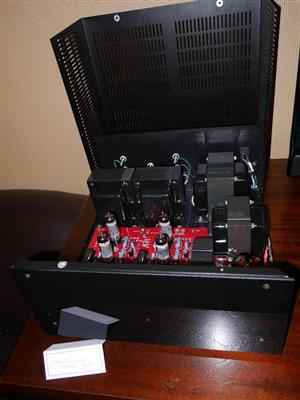 There is also the MC152 150wpc solid state Stereo Power Amp, featuring Autoformers for full power across any impedance and the MC301 300w Quad Balanced Power Mono Amplifier. These units are so new the prices have not yet been announced. They are designed for use where space is at a premium, being just 6” tall. Playing in this room are the MCD550 SACD Player with the C3500 Tube Preamp with a built-in DAC and the MC452 450wpc Power Stereo Amp feeding XR100 4-way Speakers. 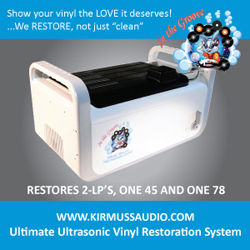 Completing the system are the MEN220 Room Correction System and the MPC1500 Power Controller. 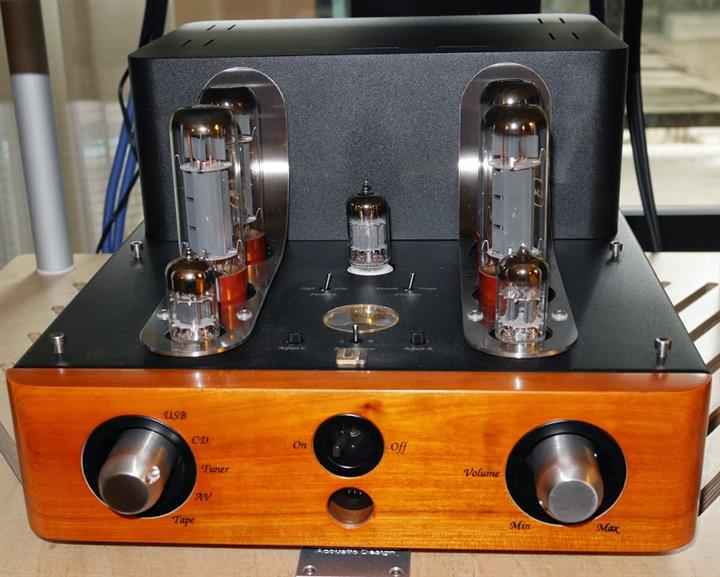 Unison Research is showing the 25th Anniversary Edition of its Triode 25 amplifier and it sounds every bit as good as it looks. 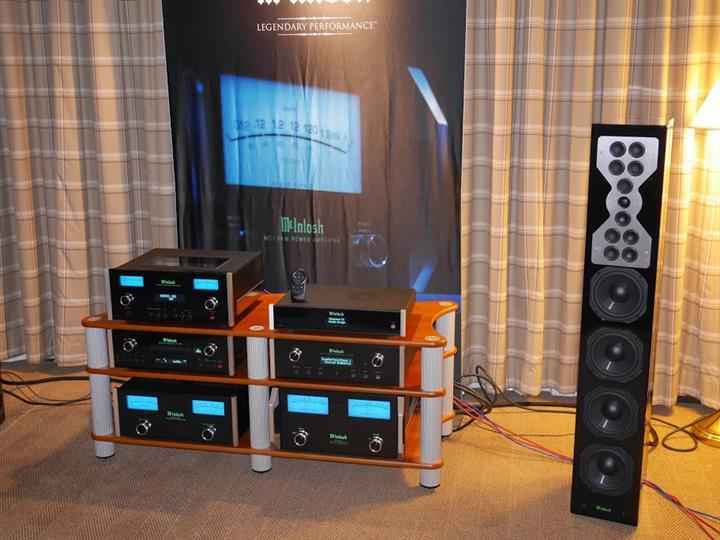 The amp was matched with ASW Genius 310 Speakers, Siltech Cable and a Unico CD Player also from Unison in Italy. The Triode 25 now offers 25 wpc in triode mode or 45 wpc in Pentode mode and has a built-in meter for bias adjustments, with a special rosewood finish to add a visual flourish. 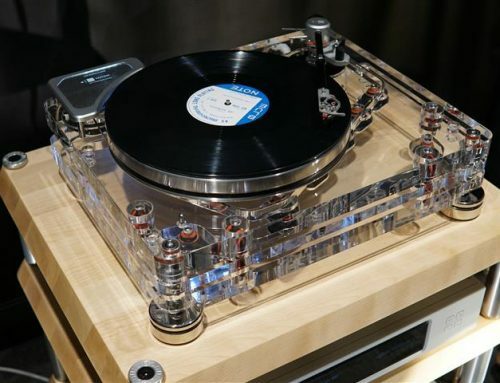 It has a USB input and a built-in DAC and will sell for $3850 as an introductory special. 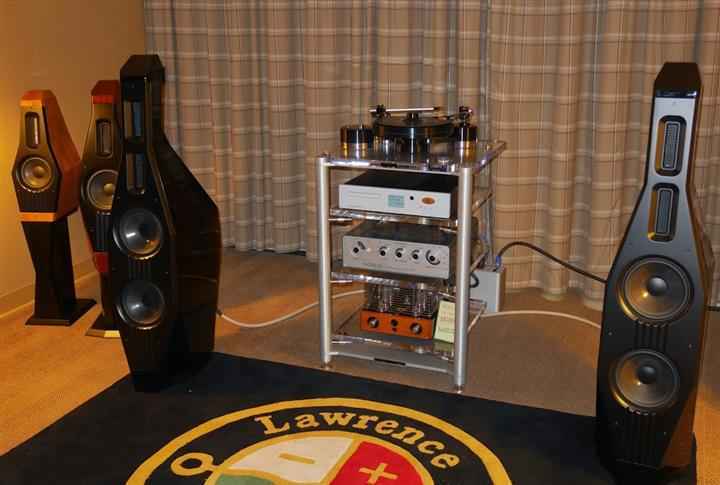 Lawrence Audio from Taiwan showed 3 speakers, and I was successful, as you would have been, in guessing the name of two of them – the Cello ($18,000) and the Violin ($9,000), although I didn’t guess the name of the smallest, the Mandolin ($5,500). They also showed a carpet! The sound is pretty impressive, especially for the price. Interestingly, straight lines are used throughout. The Cello is a 3.5 way vented box offering a bandwidth of 32Hz to 40kHz and incorporates an Air Motion Tweeter up front, a rear facing aluminum ribbon tweeter and two 8” sandwich cone woofers based on non woven carbon fibre. 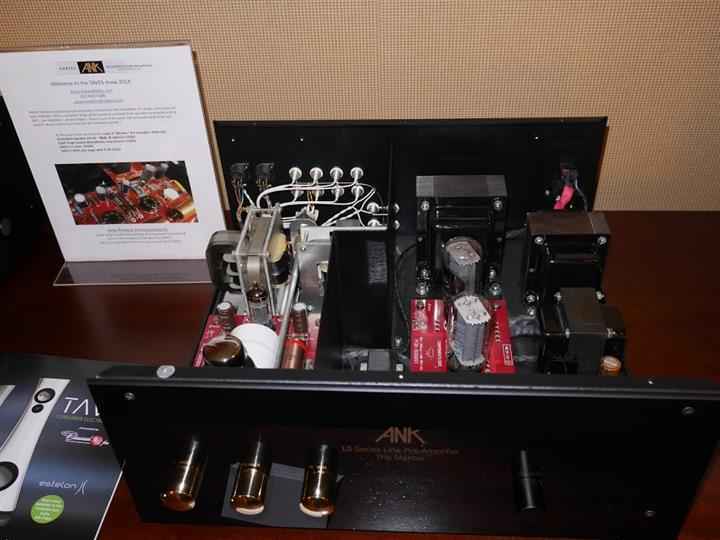 ModWright Instruments are showing their new PH 150 Reference Tube Phono Stage with an external SS PS 150 Power Supply. It has adjustable output gain for both MM and MC inputs, while both resistive and capacitative loads are adjustable via front panel controls, all adjustments available on the fly, including a selection of inputs for when you are using multiple arms. It’s a fully balanced unit, with a rear panel phase toggle. This is going to be a winner at $6500. 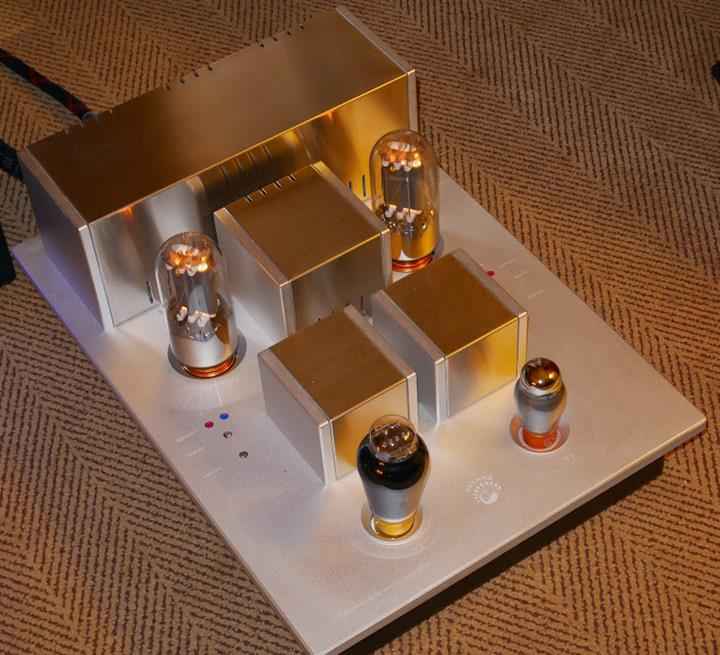 I’m still searching for the perfect headphone amp. 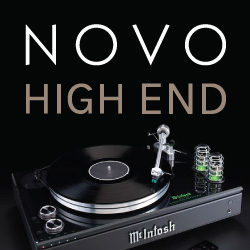 SimAudio Moon has just introduced its entry in this category, the Neo 430HA, available with or without a DAC. It looks gorgeous, and offers a great deal of flexibility, including balanced (one plug or two) outputs and unbalanced outputs, and a defeatable crossfeed circuit. The optional DAC offers both PCM and true DSD conversion (standard, double and quad speed). It doubles as a preamp, with fixed and variable outputs, with a single balanced input and two unbalanced inputs at the rear plus a miniplug input at the front. Unlike the Bryston I reviewed recently, it has an IR remote control. 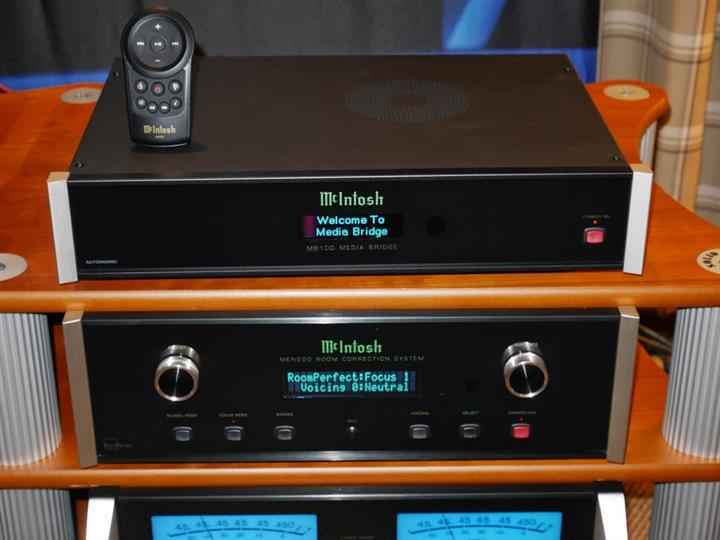 It costs $3,500 without the DAC or $4,300 with the DAC. Vince Galbo of MSB introduced me to his Universal Media Transport, based on an Oppo front end, into which they install an MSB processing board. Whether playing a disc or music from the network, they leave the noise and the jitter at the door. When connected to the MSB DAC it uses a proprietary I2S connection which is not electrically connected to the DAC section, isolation coming via a small optical buffer. The DAC requests the data when it is ready, the clock being fed from the DAC. 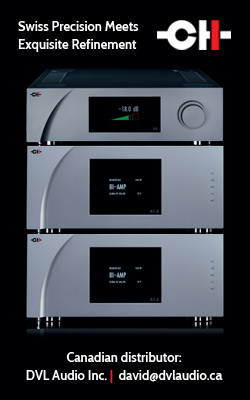 Separate power supplies are used for the Oppo front end and the DAC section. Pure resistor ladders are used instead of off the shelf chips. When MSB introduced DSD processing, it came via a simple firmware download. 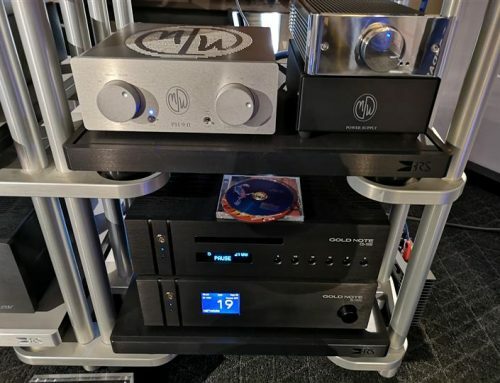 We were listening to the Platinum Signature Diamond DAC ($41,000US), which used to be the top of the range but a new model, the Select, now sits above it at $75,000US. Business is excellent. The Diamond is a four year old model, but with the stream of updates, it sounds better than ever and as a modular unit, owners can upgrade the hardware as well as the firmware. 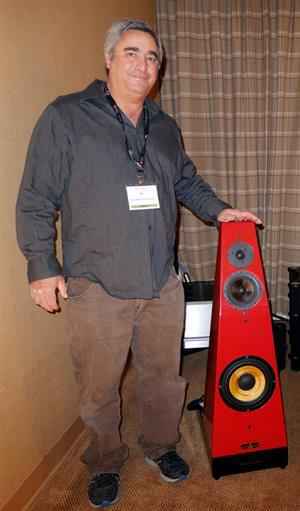 driving Wilson Audio Sasha speakers, which sounded better than I’ve ever heard them. 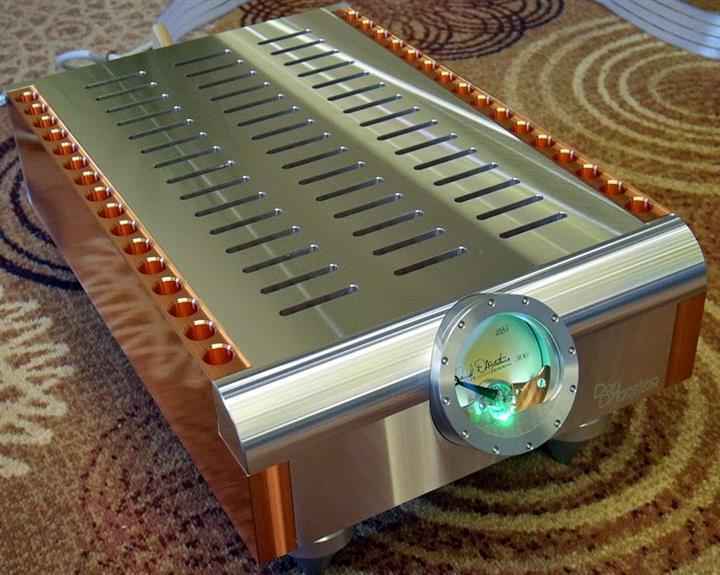 Dan D’Agostino, formerly of Krell, is one of the most brilliant designers in HiFi and his Momentum amps excel both in the looks and the sound. 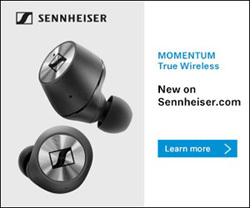 I was present at the introduction of the Momentum brand at CES, but they were not sounding this good back then. 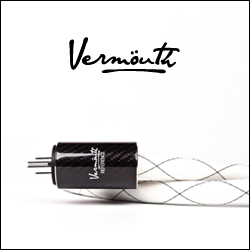 All cabling is Nordost Odin, and if you have to ask the price, you can’t afford it. But oh, the music! It fills the large space effortlessly with a three dimensional image of beauty, delicacy, refinement and power. Judge all the other rooms against this one. 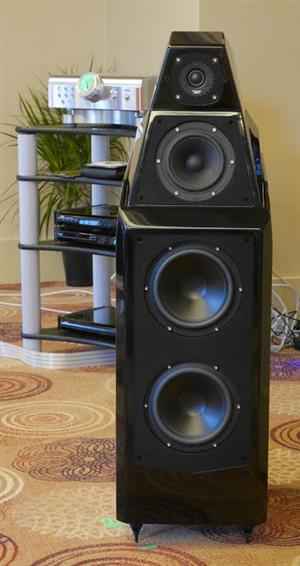 The Canadian Premier of the Kudos Audio X3 speaker ($4200) could be witnessed in the Crown Mountain Imports room. 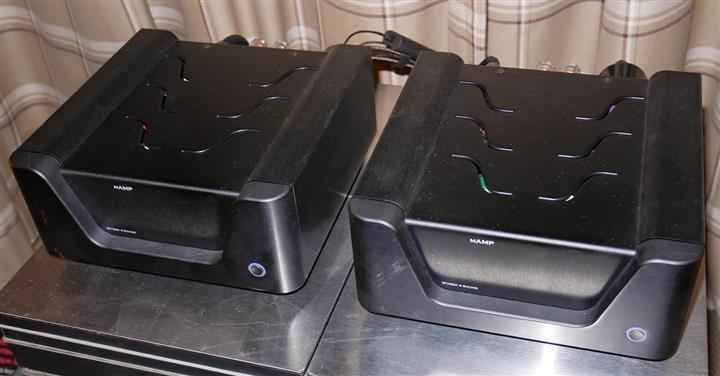 I’ve reviewed the upscale Kudos Super 20 which is a much more expensive cousin, but the family resemblance is immediately obvious in both sound and looks. The X3 has a new 18cm main driver. The cone is a blend of paper and reed, while a copper clad aluminum voice coil is designed to increase transient response and dynamics while a copper shorting ring reduces distortion. The X3 is the big brother to the existing X2, with which it shares the 25mm soft dome tweeter, and is designed to offer a bigger more dynamic sound. 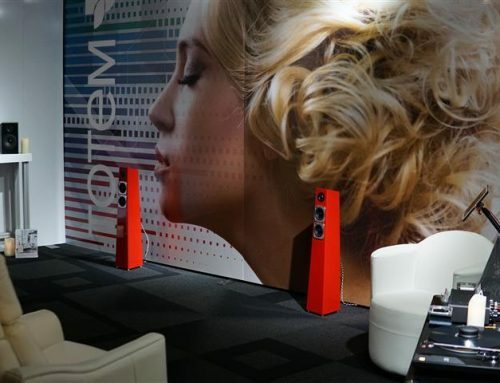 Crown Mountain Imports is now the distributor for the small Italian manufacturer Norma Audio. 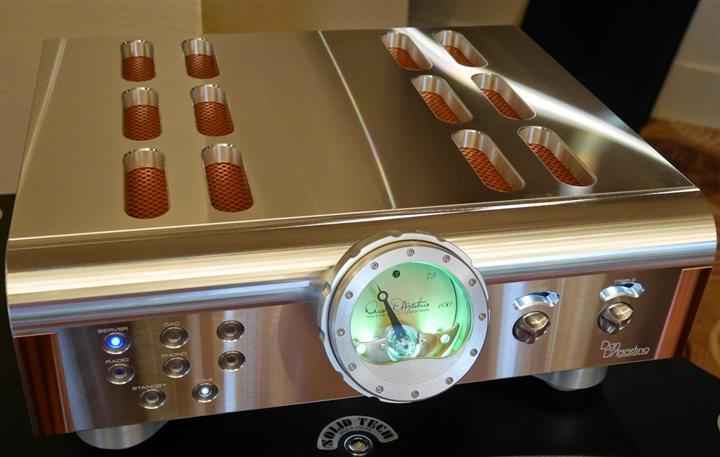 The Revo IPA70 amplifier is expected to come in just shy of $5,000 and the more powerful IPA140 will probably run around $8,900. 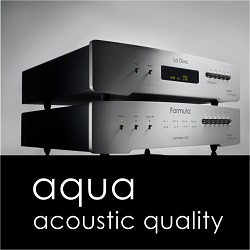 Both amps feature a USB input and an internal DAC, DSD compatible and a MM/MC phono stage. 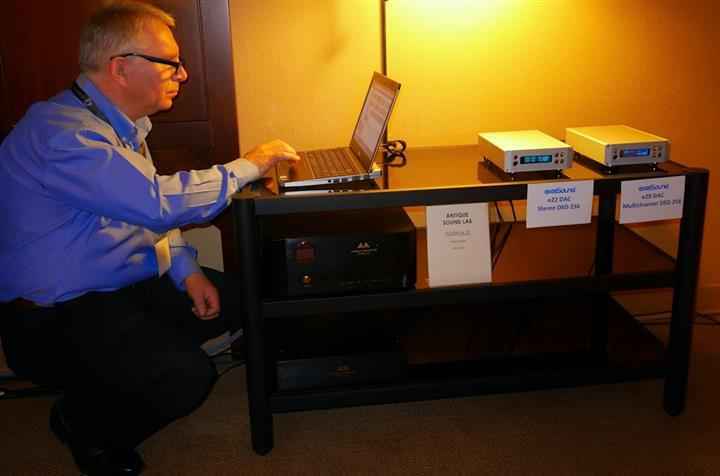 Their top of the line DAC with CD transport ($6,600) offers 5 digital inputs and includes a high quality TEAC drive. 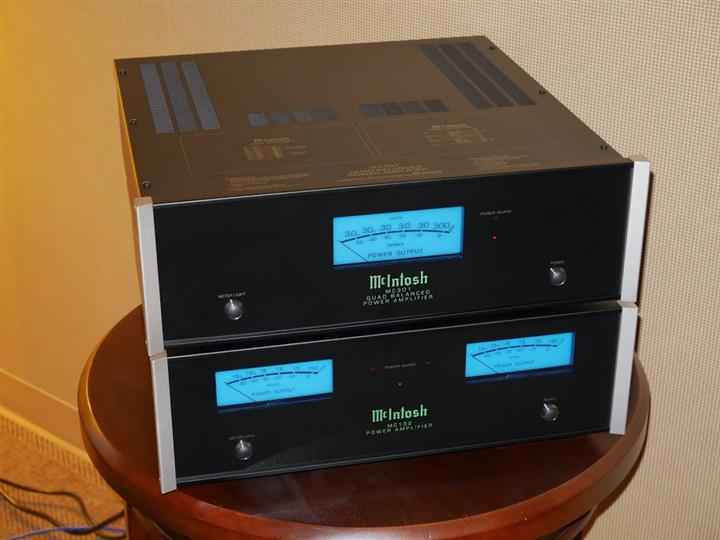 These units really look good and the sound is very promising, but they only have 2 days on them so far. There will also be half width components in the Norma range, all built in Cremona. playing through open baffle speakers designed in Israel, manufactured in Germany and selling for $3,500 in kit form. They are showing for the first time in Canada. I must say the sound was impressive and these components are worth investigating. 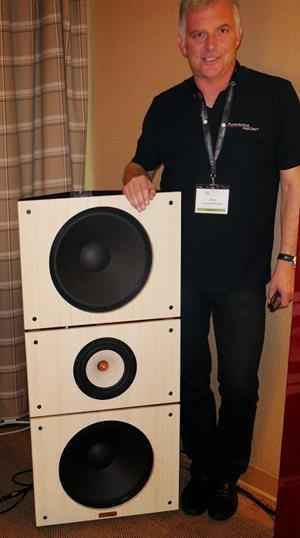 Here is Ze’ev Wolf, the designer of the speakers, standing next to his creation. 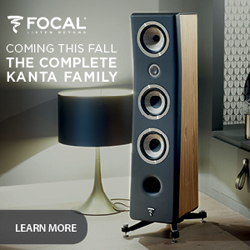 The speakers are modular, and designed to bring the knowledge of the DIY world to the regular consumer. Open baffle designs bring out the natural ambience of the room, and are used also in professional applications in walls of sound at concerts. 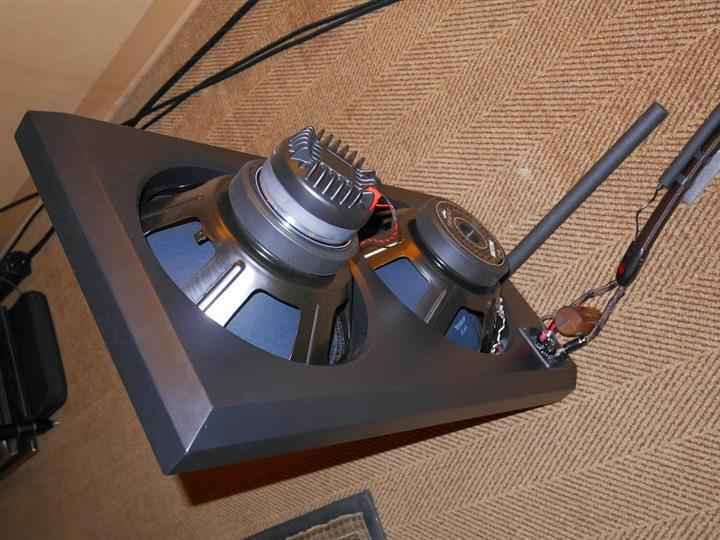 Ze’ev selects good components that are well matched to open baffles, for example 10” Morel drivers. Very high quality components are also used in the crossovers, for example Mundorf caps. No special tools are required for assembly. For the Canadian market the wood panels for the feet and baffles will be made locally. Drivers can be bought locally and the crossovers come from Germany. 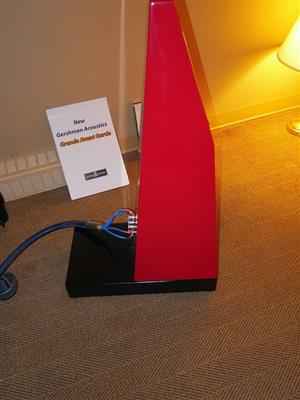 Eli Gershman from Gershman Acoustics has a new speaker, the Grande Avant Garde ($12,500). Under the main cabinet and extended to the rear is a special chamber used to trap the backwave from the bass drivers. Gershman calls this BCT – Backwave Control Technology, and it’s their exclusive, working in tandem with their Regulation Line. The result is a surprisingly powerful, accurate and quick deep bass response, extending down to 22Hz. All this in a 39.5” tall cabinet that directs the tweeter output to ear level by angling up the baffle. I walked away very impressed. The tweeter looks a little vulnerable to the abuse of kids and pets, so Gershman includes a two piece slotted cover for the front baffle. It’s acoustically quite transparent so you can keep it on except for the most serious listening. 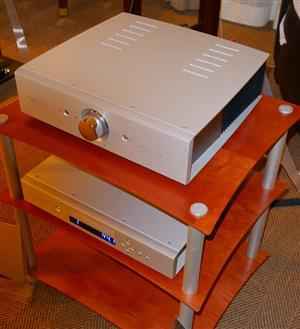 The woofer is an in-house design, the midrange is an Audax design and the tweeter from Peerless. The Grand Avant Garde is aimed at people who want a big sound with a rich deep bass, but don’t want the large boxes that would normally be associated with such killer bass. Owners of the regular Avant Garde can upgrade to the Grand Avant Garde. Driving the Gershmans were the excellent XP30 preamp and 600.8 amps from Pass Labs, with the beautifully finished Alpha DAC Reference Series from Berkeley Audio Design. 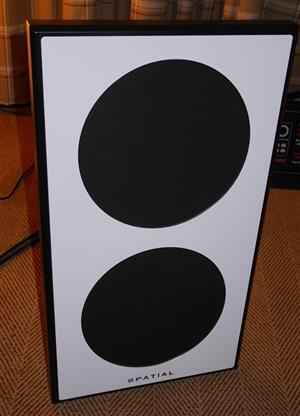 I really like the clean design of the US made Spatial open baffle speakers ($3,000) in the Wyred 4 Sound room. Wyred 4 Sound used to make the components for PS Audio before they moved production to China. The new MPRE has a very distinctive look to it, as do the 250 watt Class D MAMP Monoblocs. Connecting the components are AudioQuest cables. 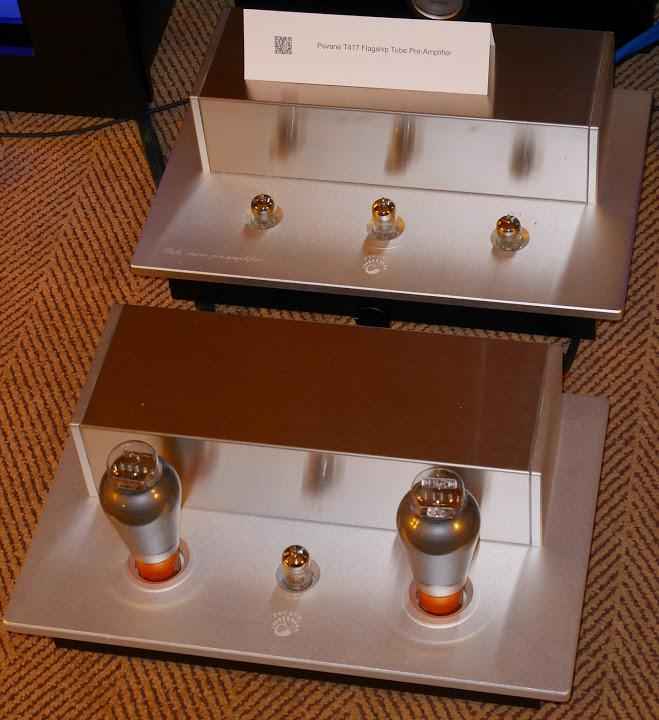 I’m not normally a great fan of Class D amps but these seem to be thoroughly sorted. 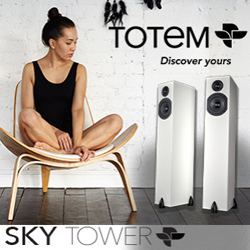 Reference 3A has a new speaker, and it’s a big one – the Sema Zen ($22,000), 67” tall and 100kg each. and a new exaSound quad rate DSD DAC, the e22, ($3500 US) natively playing special hirez tracks recorded at DSD256. Here’s Tash Goka at the controls. 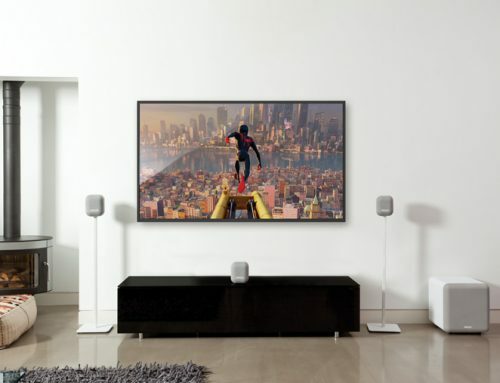 This system was a standout, and it represents excellent value. 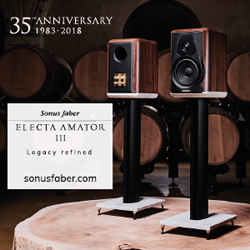 The Reference 3A Episode speaker gets new drivers developed for the larger enclosures extending down to 29 Hz, and a new name – the Taksim ($6900). Tweeters in the Reference 3A models are exotic beryllium dome designs. Does anyone offer a wider range of price points than NAIM? 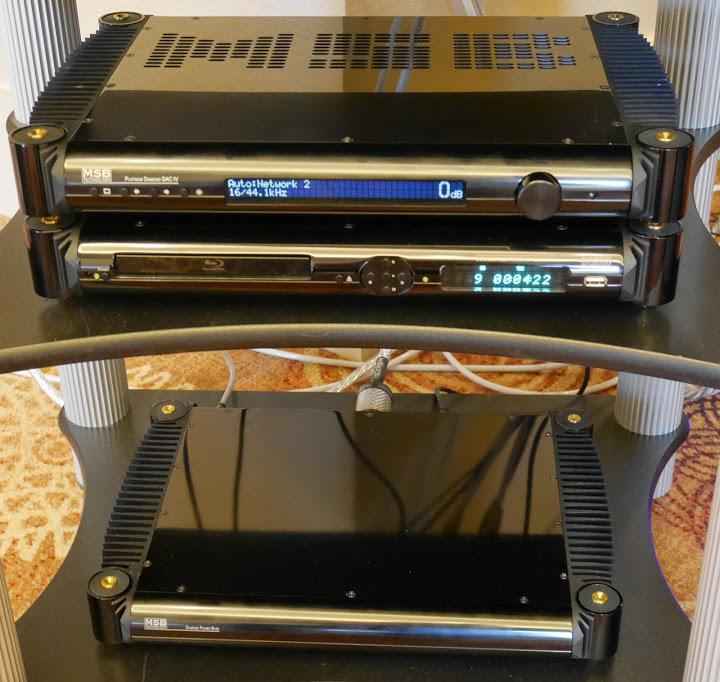 Here’s their elegant new all in one Player / Streamer, the Mu-so ($1699), with Internet Radio, USB and analog inputs, 6 drive units with a Class D amp behind each one, interchangeable grill cloths and an invisible antenna. The control knob looks like the Nest thermostat but is taken from the Statement amp in the next room, which runs well into six figures. Brian Smith introduced me to a new company ANK AudioKits. The company originally started 11 years ago as the Audio Note kit business, but parted ways last year. Their kits are still based on Audio Note designs. They sell worldwide over a website ankaudiokits.com. 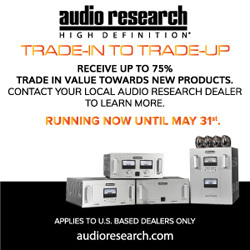 They sell amplifiers, preamplifiers, DACs and speaker kits to the DIY audience. They also have a builder in North America who will build the kits for you but 90% of sales are DIY. 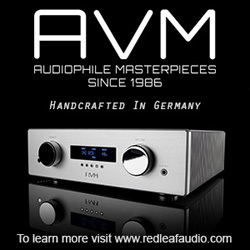 The products are Audio Note designs and some of the components, but not all, are sourced from Audio Note (UK). They use various levels of part quality depending on the level of the kit. 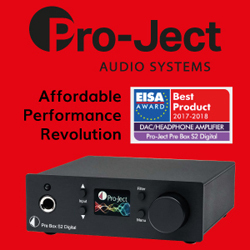 The Mentor Preamplifier, a Level 5 series product with a shunt power supply is in the $5,000 range. 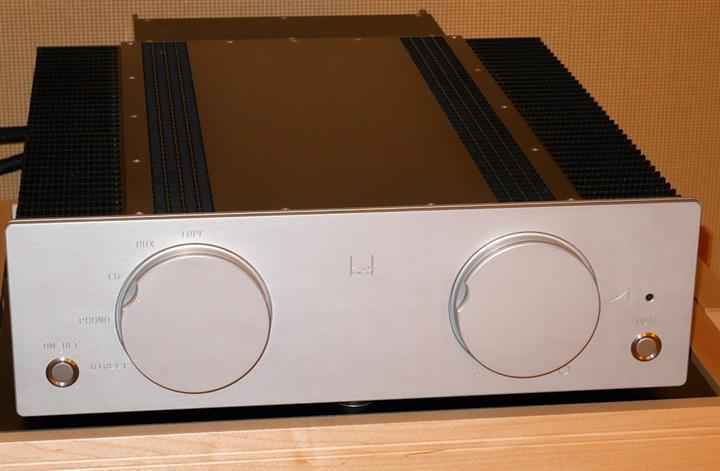 Coming in 2015 is the DAC 4.1X (around $4,000), also with a shunt power supply. 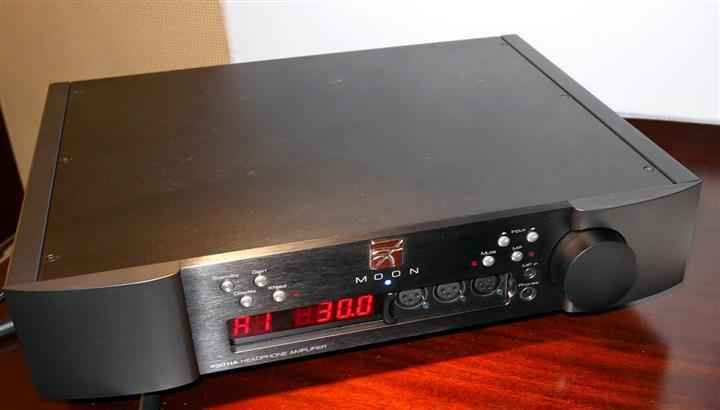 It uses the 16 bit Audio Note resistor ladder DAC technology with no oversampling or upsampling. 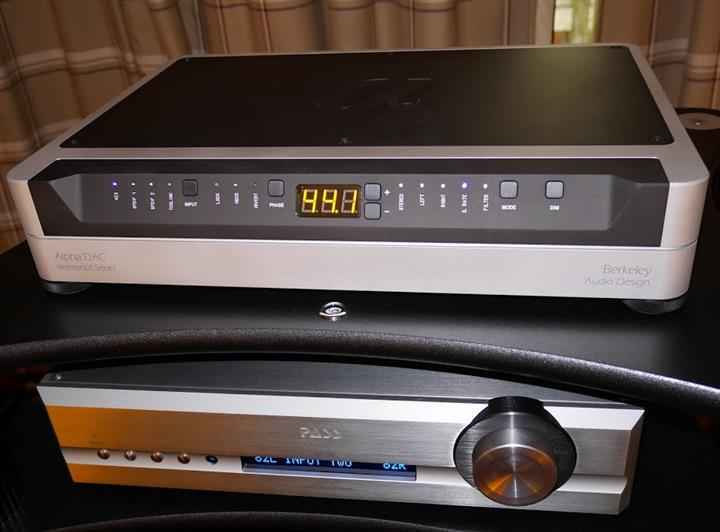 You can see how much more sophisticated the new Level 4 shunt power supply is compared to the M2 tube rectified design in the entry level DAC 2.1 ($1625). The DAC 4.1X will also feature a 48 step volume control. 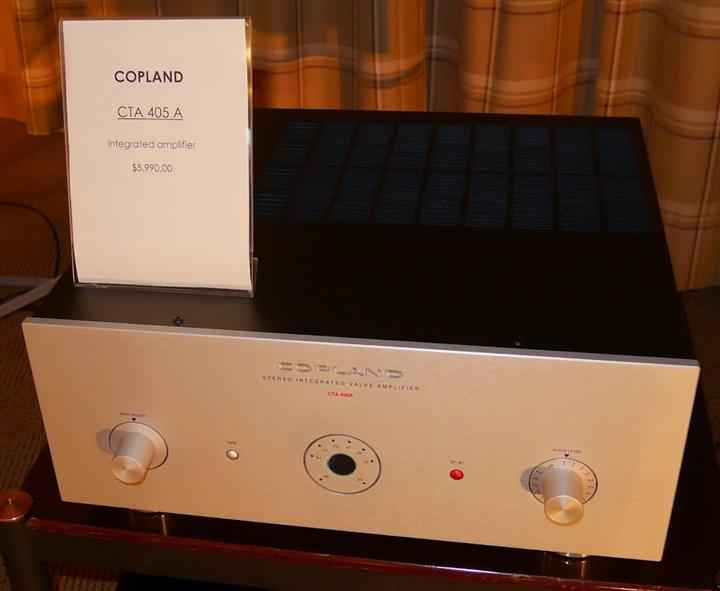 Also new is a range of EL84 single ended amplifiers – there’s a stereo 11wpc version with or without a preamp section and a monobloc. You may notice the large output transformers. All the chassis are made from 3mm aluminum, powder coated. Stayed tuned to novo.press for part 2 of Phil Gold’s TAVES coverage, as well as show coverage from George de Sa and Gaelen Andrews.